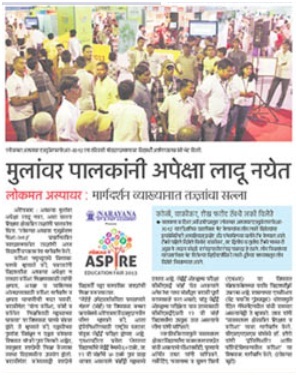 Pre - Media coverage for seminar held in Lokmat Education Fair by careerfutura.com in Jalgaon. 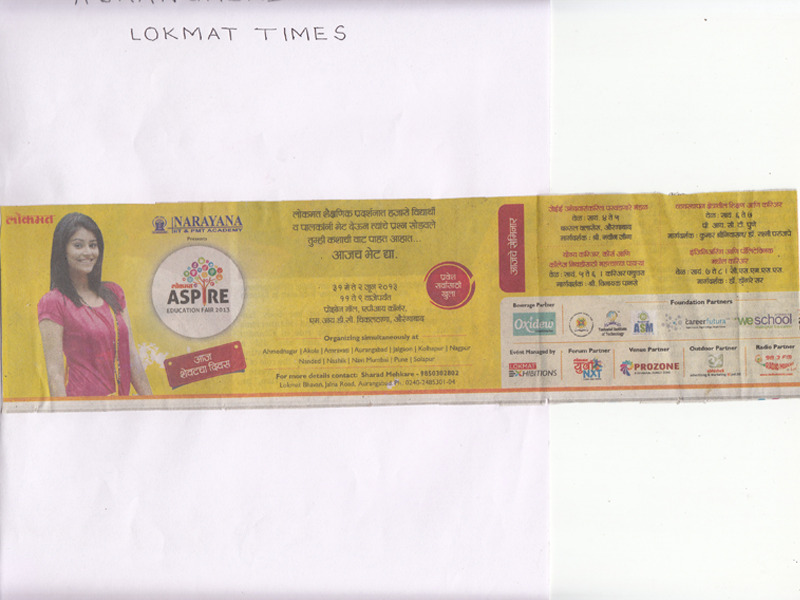 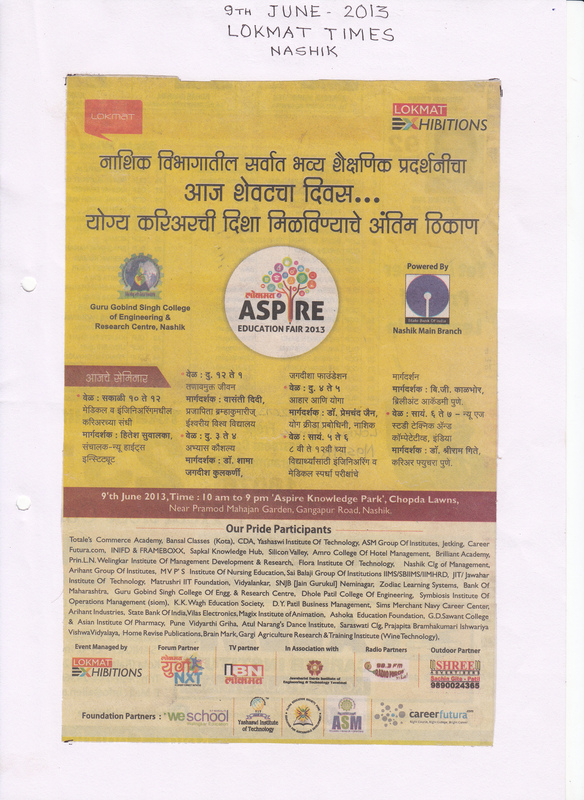 Pre - Media coverage for seminar held in Lokmat Education Fair by careerfutura.com in Pune. 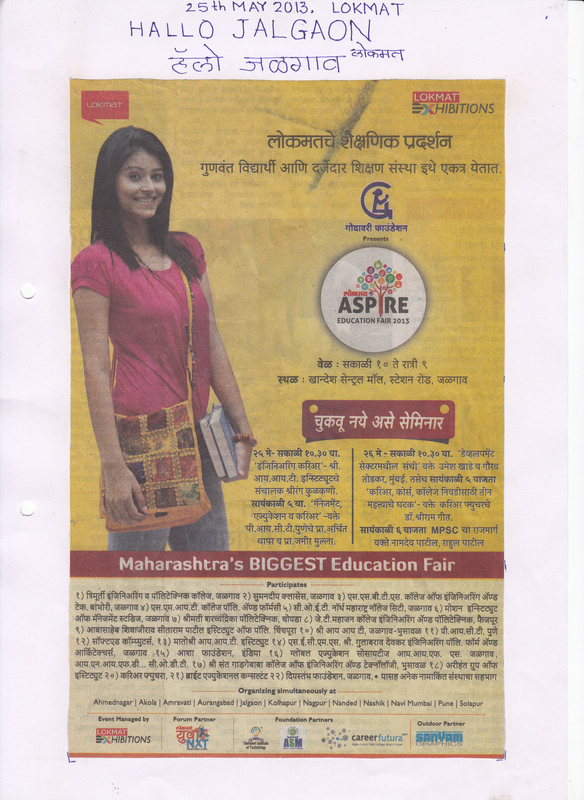 Pre - Media coverage for seminar held in Lokmat Education Fair by careerfutura.com in Nashik. Post - Media coverage for seminar held in Lokmat Education Fair by careerfutura.com in Aurangabad. 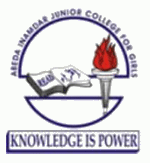 More than 300 parents and students attended the seminar on “3 important steps to choose right career, course and college”.